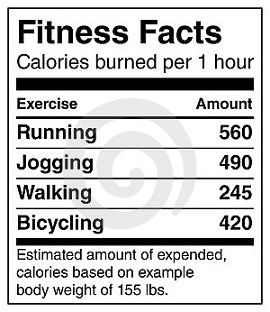 Some Facts about Cardio | FITAPPY Fitness & Healthy Plan to Change your Life! M ake sure you get the cardio work done regularly! It will help you burn extra calories and get rid of stubborn fat! It could be anything- you name it: running, walking, biking, jump roping, hiking, doing my favorite burpees :), etc. Whatever you choose, you have to bring your heart rate up and sweat! If it’s easy, you should probably push yourself a little and increase speed or intensity. Don’t expect to burn 500 calories by cycling for an hour and reading a book. Focus and work hard. No pain, no gain. This entry was posted in Fitness, General and tagged burned, calories, cardio, exercises, hiking, jogging, running, walking, weight loss, workout. Bookmark the permalink.